New versions of both programs are here. New and improved layouts in landscape mode (think tablets). 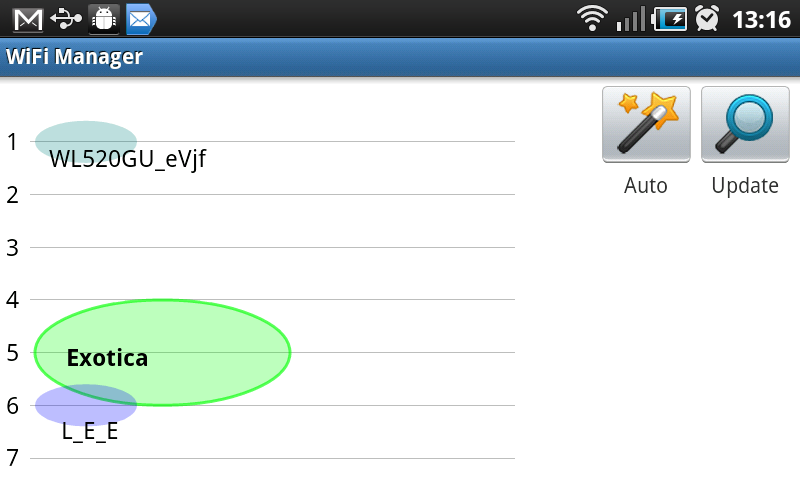 Fixed issues with WPA_PSK/PSK2 networks for Android 2.2 (thank you, Yur.Ok). New “Network Switcher” widget – connect to your favorite networks with one tap. The new layouts are used for the program window itself, as well as for the widget configuration dialogs (not shown). The new network switcher widget provides a way to connect to your favorite networks with a single tap. 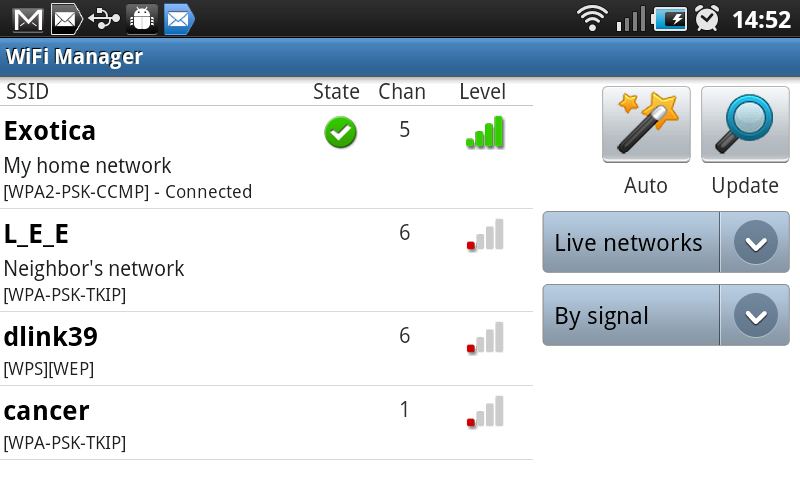 See the screenshot below: the three radar icons are my three favorite WiFi networks, and the current connection is indicated by a green checkmark. The only change is the addition of a landscape layout for the widget configuration dialog, as seen below.